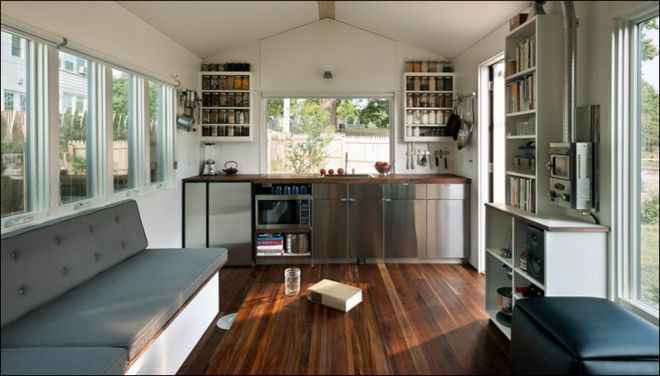 When it comes to tiny homes, we're never disappointed by the innovative methods employed to save space. 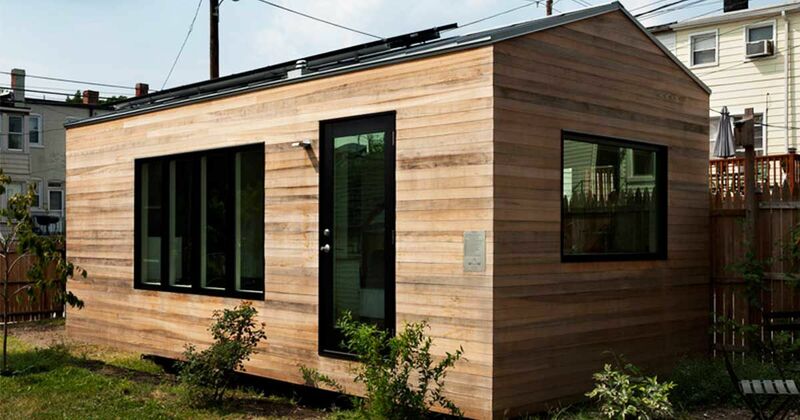 The Minim Home lives up to our expectations and then some with the ways in which it saves space and allows the occupant to live in a comfortable and self-sustained manner. 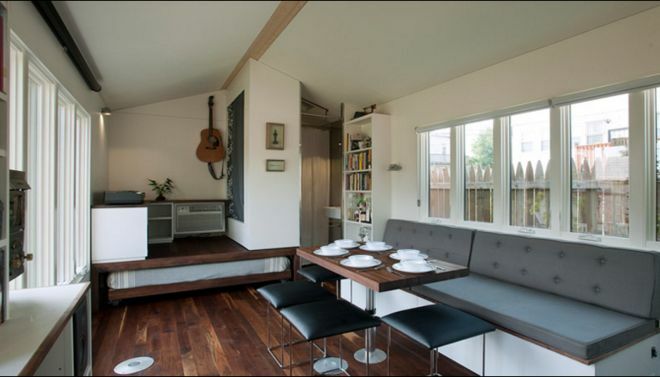 In fact, this superb tiny home was recognized as one of the eight winners of the 2015 Washingtonian Residential Design Awards. 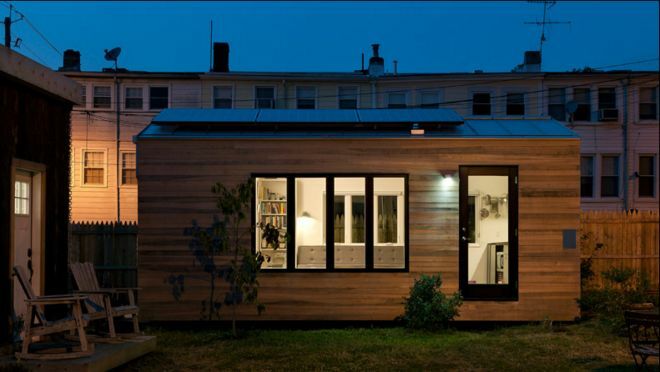 In describing this exemplary 210-square-foot tiny home, juror Robert Silver gushes to the Washingtonian, “It’s inventive and clever within the smallest means.” It also includes exciting new technological features — including a lock that relies on facial recognition and a tablet that can control everything from the lights to the temperature — that may become standard one day. 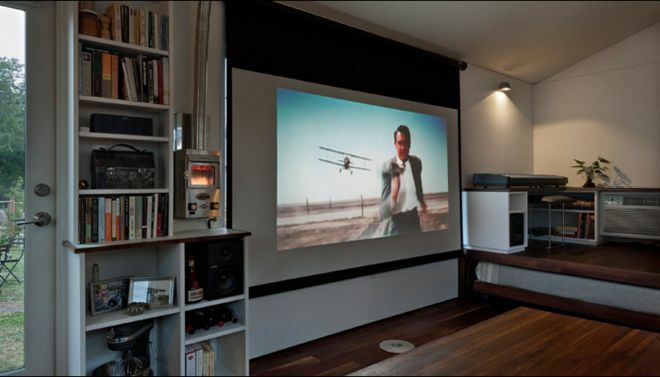 Another appealing feature is the blackout window shades that double as a projection screen, allowing residents to enjoy their series marathons and movie nights without sacrificing space for a bulky entertainment unit. 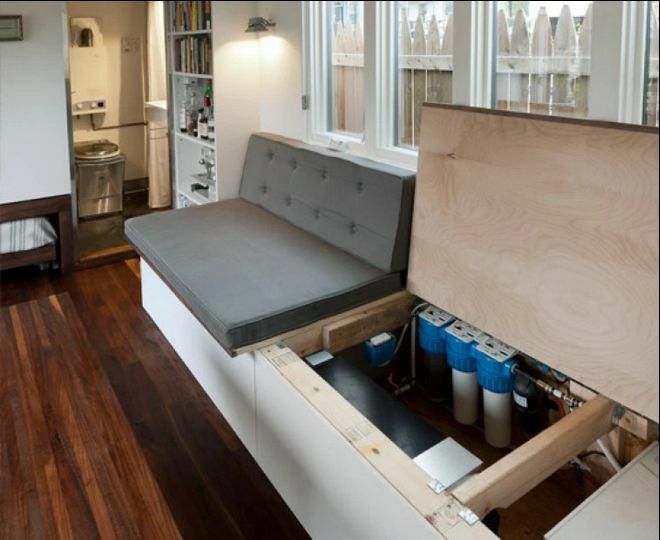 According to the Minim Homes website, the couch cleverly opens up to reveal additional storage space, as well as a 40-gallon water tank and water filter. 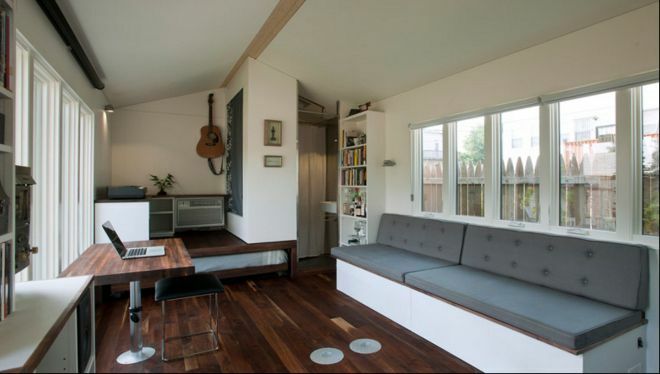 For a tiny home, there is a remarkable amount of space in the main room. The desk can easily be moved to become a dining table. 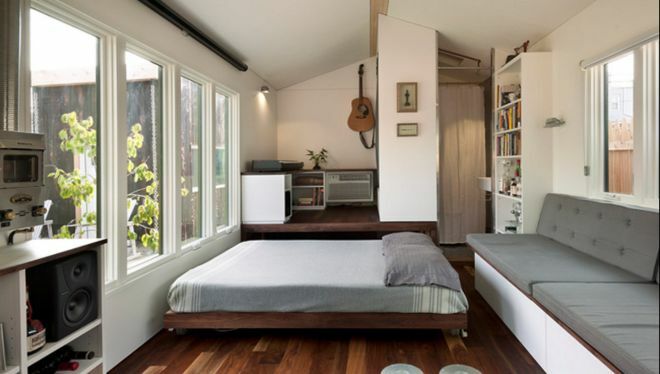 The bed rolls out from a hidden compartment under a mini-loft area, saving space and keeping the main room free from clutter. It can also serve as additional seating should the need arise. 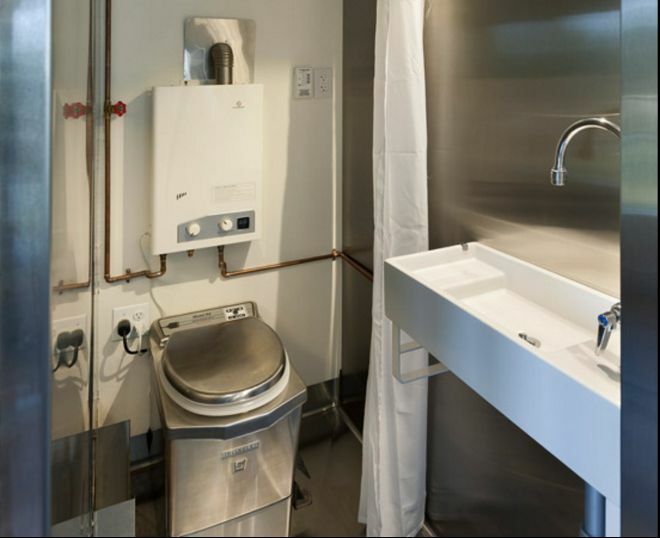 Architect Will Couch informs the Washingtonian that the toilet is actually an incinerator that turns waste into ash. 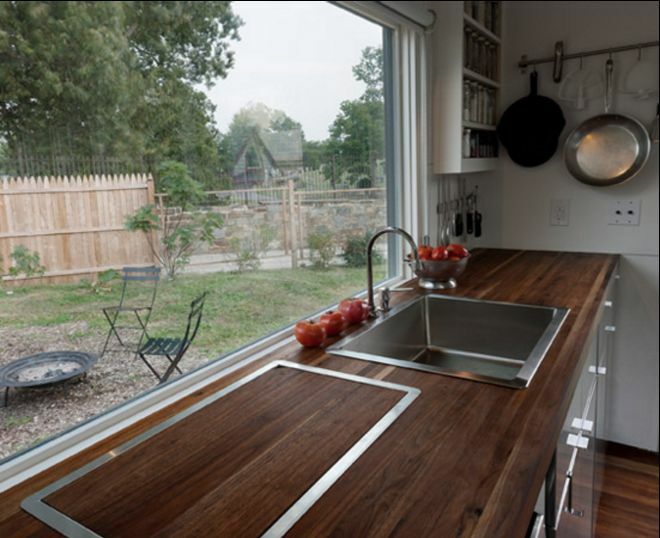 The kitchen is large enough to accommodate multiple cooks at once and has plenty of storage space. The cutting board insert can be removed to reveal an in-counter cooktop. 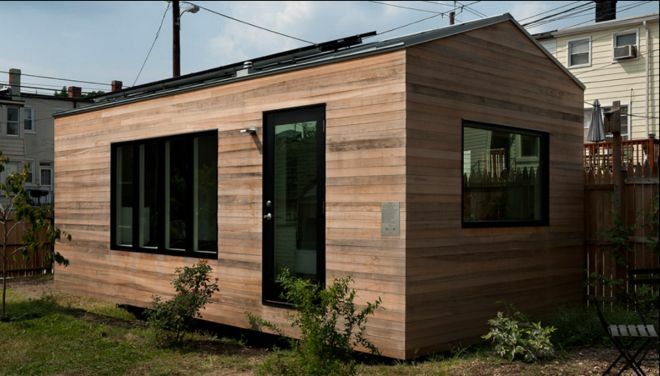 You'll also notice that the Minim House is also outfitted with solar panels, enabling a more eco-conscious lifestyle. To learn more about the Minim Home and the exciting technologies that add to the living experience, be sure to check out the video below. Don't forget to SHARE with other tiny living enthusiasts!